It is difficult to accomplish end-of-year tax planning for corporations for 2012 because many significant tax provisions re going to expire at the end of the year and it is not clear what Congress’s intentions are, at this point. Important provisions had expired at the end of 2011, which encompassed the business research credit, and now others are expiring at the end of 2012 which includes the era of Bush’s tax cuts, the bonus depreciation allowance, and the expensing allowance. Congress has the power to retroactively extend the rules that have already expired and even to extend those due to expire at the end of 2012, or we can just try to guess what the outcome may be. This presents a challenging dilemma for us in terms of tax planning. Nevertheless, there are strategies that exist, that businesses can avail themselves of before the end of the year to maximize the opportunity to lock in low tax rates for shareholders, take advantage of the work opportunity tax credit, and generous depreciation and expense deductions. Here are two strategic tax tips to consider before year end planning. Stock redemption. If it serves business purposes, closely held corporations should consider taking money out of the business through a stock redemption before the end of 2012, to qualify for the 15 percent tax rate on the distribution. A corporate purchase of its own stock can result in long-term capital gain or a dividend for its shareholders depending on a number of factors. 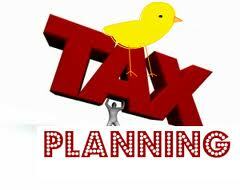 In 2012, the maximum tax rate applicable to both capital gain and dividend income is 15 percent. However, if the Bush-era tax cuts expire at the end of 2012, long-term gains will be taxed at a 20 percent rate and dividends will be taxed as ordinary income at a rate of up to 39.6 percent. In addition, if the taxpayer’s adjusted gross income exceeds certain limits ($250,000 for joint filers or surviving spouses, $125,000 for a married individual filing a separate return, and $200,000 for all others), gains and unearned income, including dividends, will be subject to a 3.8 percent surtax (the unearned income Medicare contribution tax). Work Opportunity Tax Credit (WOTC). Employers planning to hire new employees should consider hiring qualifying veterans before year-end, to qualify for a work opportunity tax credit. Under current law, the WOTC for qualifying veterans will not be available for post-2012 hires. The WOTC for hiring veterans ranges from $2,400 to $9,600, depending on a variety of factors such as the veteran’s period of unemployment and whether the veteran has a service-connected disability. Read our next post for three more corporate tax planning tips for year-end.